We advice caution when travelling to Guatemala. Guatemala is a country in North America (Central America) with around 13 million citizens and a land mass of 108,890 km². We detected travel advisories from 5 sources for this country. Guatemala shares land borders with 4 neighbouring states. For this country, the Danger Index is 2.5 (average value for all countries). All countries habe been reported as somehow dangerous: Honduras (2.7), El Salvador (2.6), Mexico with (2.4) and Belize with (2.2 of 5). See danger map of the region. Exercise increased caution in Guatemala due to crime. Some areas have increased risk. Read the entire Travel Advisory. Reconsider travel to: Guatemala department due to crime. Escuintla department due to crime. Chiquimula department due to crime. Quetzaltenango department due to crime. Izabal department due to crime. Petén department due to crime. Violent crime, such as armed robbery and murder, is common. Gang activity, such as extortion, violent street crime, and narcotics trafficking, is widespread. Local police may lack the resources to respond effectively to serious criminal incidents. Read the Safety and Security section on the country information page. 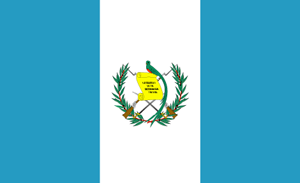 The Ministry for Foreign Affairs and Trade Promotion (MFTP) advises Maltese citizens travelling to Guatemala to exercise a high degree caution, due to high levels of violent crime, roadblocks, strikes and demonstrations that occur throughout the country.